Celebrate years of hard work while looking forward to the leisure to come with a retirement party to remember! 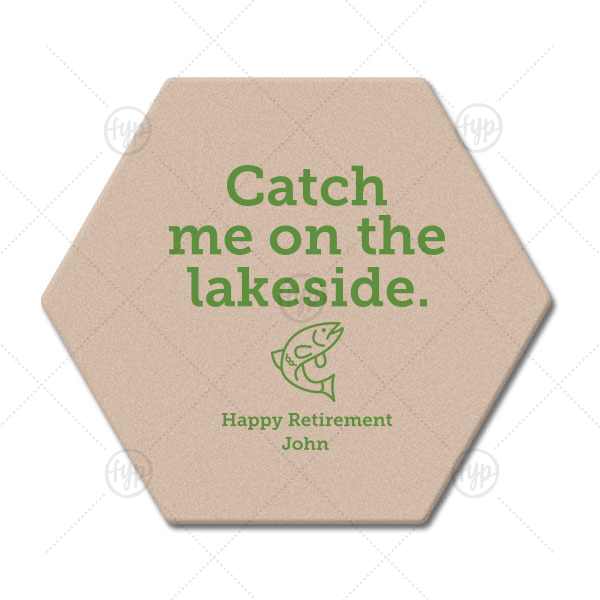 You name on coasters with our Fish graphic and fun lakeside saying will be a crowd favorite for sure. Use your personalized coasters on the bar and tables. Guests can even take them home for personalized party favors.